Internet at sea: Can that ‘selfie’ wait until you get home?Two thirds of cruise passengers would prefer to have no internet access on board ship, says a new poll.The top reasons cited in the survey of more than 1,100 British holidaymakers were wanting to stay relaxed without the stresses of the outside world and being too tempted to check social media pages constantly.Then came the cost of wifi and the temptation to check work emails, according to the survey by independent travel agency bonvoyage.co.uk. They polled people aged from 24 to 78 who had taken a cruise lasting between seven and 21 nights within the past 18 months. Asked how they had kept in touch with family and friends back home, three in five said they had sent only ‘two or three texts’ during their last trip. One in five said they had made at least one phone call a week while one in nine said they’d had no contact with the outside world at all. Just 36 per cent had used the internet to update Facebook, Twitter or Instagram. 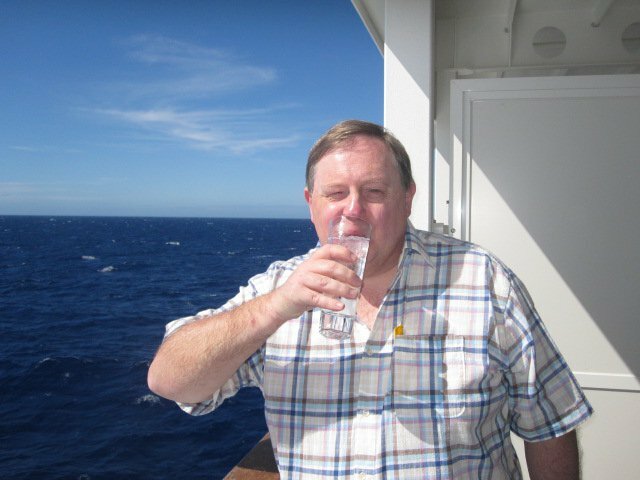 This entry was posted in News and tagged bonvoyage.co.uk, cost, cruise, sea, survey, wi-fi, wifi. Bookmark the permalink.